Hope is a South African white rhino who was attacked and left for dead by poachers in May 2015. 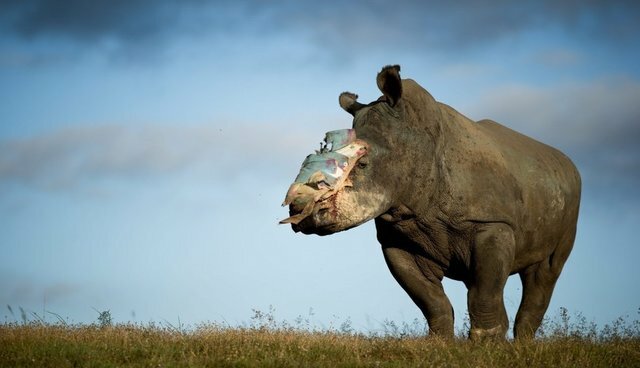 With her horns removed and a large section of her face hacked off, chances of survival were next to none. Saving the Survivors, a team of veterinary experts who care for rhinos that have been the victims of poaching and trauma, stepped in to help. Against all odds, and after multiple operations, their efforts have saved her life. This is #HopesStory filmed by Adrian Steirn. Steirn's work is driven by narrative – the stories of the people and wildlife that he encounters. It is characterised by a unique ability to understand and translate complex issues around through photography and film. Inspired by the life of Nelson Mandela, Steirn created 21 Icons, a film and photographic project that aims to celebrate individuals whose own achievements reflect Madiba's legacy. The 21 Icons project features Mandela's last official photographic portrait and on-camera interview.